Witteveen, J.A.S. (2014). 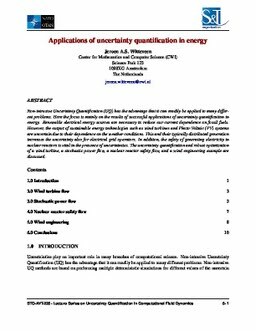 Application of uncertainty quantification in energy. In T Magin & C Gorle (Eds. ), Lecture notes for NATO-VKI Short Course on Uncertainty Quantification 2014 (STO-AVT-235). NATO STO.